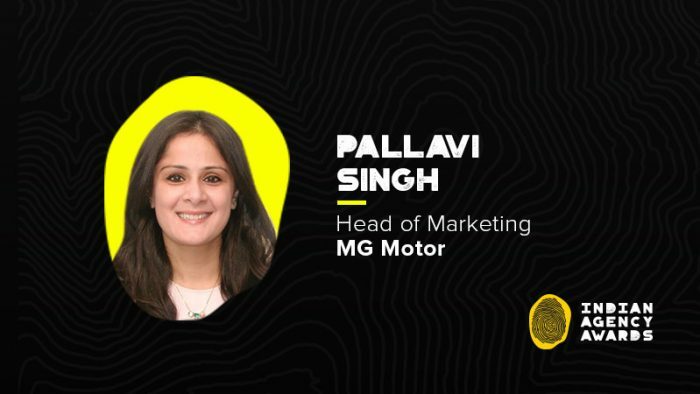 Pallavi Singh, Head of Marketing, MG Motor India shares quick insights on data-driven storytelling, how it can be leveraged to drive impactful results and the MG Motor India digital marketing story. MG Motor India is riding high on the success of their campaign #MGChangemakers in collaboration with The Better India. Touching the not-so-raved about subjects in India, the age-old British born brand highlighted the social work done by transgender activists of the country. Like every present age marketer, Pallavi Singh, Head of Marketing, MG Motor India and a member of the Indian Agency Awards Jury Panel, too believes that storytelling drives content today and content is the king. In conversation with Social Samosa, Singh explains why digital marketing has been a pillar to drive potential sales for the brand and more. MG Motor’s entry in India was a rather dynamic one. How helpful was social media for creating brand awareness among the Indian masses? Please elaborate on your digital marketing strategy for the same? Social media channels have been a key media outlet to drive awareness and impact for MG in India through its establishment phase. We shall continue with Digital Marketing as a key pillar not only to drive awareness but to also to drive potential sales for us. From a strategic POV, we are focused on building advocates and a strong digital community by creating high impact emotive content. Throughout our journey to date video content (Vertical and Horizontal) have been key drivers to drive instant recall. The same strategy was followed even during our name unveil for the MG Hector. Mass properties like YouTube Masthead and Facebook Reach & Frequency block ensured sustained delivery and impact mass awareness. We will continue to focus on content-led storytelling, which encompasses high focus on short format and snackable video content. From bookings and lead generation perspective, we do have a performance marketing strategy in place. Storytelling has been an integral part of the brand’s marketing efforts – what has been the idea behind the reliance on storytelling? How has it helped the brand? While data drives results, it is storytelling that drives content today and content is the king. MG itself is a brand full of stories, from how it started in a garage in 1924 to how it won land speed records and now coming to India – we all have grown up on stories. Most of us are storytellers at heart. A decade or so back, stories were a big part of the family structure, education and the time one would spend with family. From the ‘Jack & Gill’ poem, to ‘Hansel and Gretel’ to ‘The Mahabharat’ to ‘The Iliad and The Odyssey’ by Homer, a lot of storytelling was all about seeding morals, sharing values, and imbibing the qualities that are seen as important to how we define humanity. As we grew up, stories were also a way to exchange and making new friends. Back then there was a big culture of exchanging books since they were not digitally available and abundant like they are today. I believe while some people might be better storytellers than others, may have better command on the language, but storytelling comes naturally to all of us. Business storytelling might be different but at the heart of any kind of storytelling, lies emotions. And emotions drive me, you, our consumers, our customers. Hence, for a brand, I believe it is important to connect with the core emotions instead of trying to sell a service or a product and that’s what we are building on. Our campaigns like #MGChangemakers or #RecreateTheMagic have been about stories and have seen success. Be authentic – Is your story authentic? Does it convey the true emotions? Does it keep the soul of the story intact even if you may change the settings or the environment? If your story is authentic, so will be the emotions. And that will help your brand connect with the consumer. A powerful story needs the right distribution network – Today, to share a story is made easy with the availability of digital platforms. But digital platforms have also led to a lot of clutter on your or my timeline. Hence, with the right distribution supported by the right targeting to reach your audience helps it amplify right. Also, in terms of which format and what mediums suits your story, high quality content (thanks to the mobile in our hands we all expect quality content today! ), its treatment, the finer details, you would need a team of experts who understand the nuisances to bring it to life the way, in the format that it requires to be. Today, just creating a story is not enough. You need to amplify it right as well. Take a look at this #StoriesofMG we did with one on our classic MG customer’s . But firstly, it is authentic to who the owner is and his journey to MG. Branded content is great but needs a balancing equilibrium – I have often seen that a great story is sometimes killed by the over the top brand integration. Brand integration is important and understandably, required but brand stories told well, often integrate the brand very subtly. Imagine – as a viewer, you are immersed in watching the story and if the brand integration causes the viewer to disconnect from the story, the brand integration has not only failed but also made the consumer discontinue from the experience. Brand integrations should always support the story. As a jury of Indian Agency Awards, what are your expectations from the agencies that are participating? MG Motor is a premium brand, with rich history and legacy. How do you blend your brand personality with trending moments to engage with your audience on a regular basis? Is there any content hook that works better? MG throughout its years of presence in UK and other global markets have been a brand which is bold, edgy and different. It has always been able to communicate facts in a witty, yet informative manner. We’ve followed this persona even in our communication across channels, but also added Indian cultural context to the persona. We do pick up topical moments and other trending moments to drive brand conversations. Since branded content on social news feeds is constantly declining and paid media is only way break the clutter, content and messaging for such moments become key. With a new model coming in very soon, how do you plan to leverage social media for the launch? For premium auto brands, does social media have any relevance in lead generation? There’s a lot of work behind the scenes and it would be best if you keep following us to see how we build-up towards our launch. We intend to things in minimal yet appealing manner, rather than doing mundane and cliché activations. The biggest key differentiator to our digital launch would be the ability to adapt content in the right format for each platform, drive participation and intuitiveness beyond car specifications and generate leads. Specific to lead generation, Social media has high importance as a channel to drive leads for our launch and sustenance phase. We would be focusing on key social networks and car aggregators to drive this engagement for us. Any big campaigns in the pipeline for 2019? You can expect a few especially as MG Hector – MG’s first SUV for India market hits the Indian roads in mid-2019. Nominations for Social Samosa’s Indian Agency Awards (IAA) are now open. Click here to nominate.